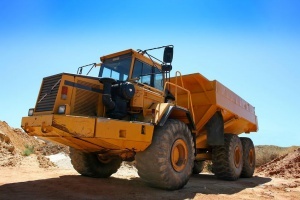 Dirt Connections specializes in delivering free fill dirt directly to your residential or commercial job site in Manassas, VA. No matter what the size of your project is, you can always depend on Dirt Connections for all of your dirt. Our Manassas, VA fill dirt delivery service will provide you with what you need, when you need it, and you won’t have to worry about overpaying for the materials you need to get the job done. 7 Schedule a Free Manassas, VA Fill Dirt Delivery! If you have undertaken a development, remodeling, or construction project, there is a good chance that you are going to require a substantial amount of fill dirt. Using fill dirt is a necessity for creating a strong, stable, and dependable surface when working on a construction project, as well as filling in holes, uneven areas, or divots in landscapes. Using our fill dirt service is an economical way to provide sturdiness and durability to surfaces, which is made even more cost-effective through our free delivery service when ten loads or more are ordered. Our company has the all the experience and knowledge needed to assist you with your next project, no matter what size it may be. We are here to help, and would be glad to assist you in any of your needs that we are equipped to handle. 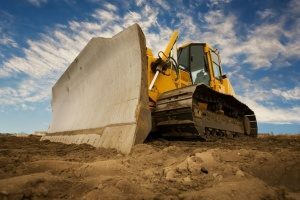 Our company can supply your fill dirt needs, regardless of what type of project you are working on. A delivery fee for the dirt may be applied based on job site proximity, material availability, and specific customer demands. Before delivering the dirt, we do require that your site undergo a full inspection before finalizing the offer. This inspection is always offered free, however we do ask that an owner or agent be present on the property to grant authorization for doing so. If your project requires any sort of ground excavation, there is a good chance that you’ll be left with an excessive amount of dirt left over afterwards. If this is the case, we are glad to help. We can quickly and efficiently remove excess dirt from your property, while also handling the hauling and dumping aspects of it. Now that you know you can receive a delivery of free fill dirt directly to your job site, you may have started marking another task off your project’s checklist. We make the delivery process very simple and straightforward – and our familiarity and experience with the Manassas, VA area allows us to always deliver on time, right where you need it. Dirt Connections can be relied upon to safely deliver fill dirt in a cost-effective and professional manner which adds to the convenience of our services. When you’re ready to be finished with your project, we can come to remove all of your excess dirt so you don’t have to worry about it on the premises. Since fill dirt is often the foundation that lies below the rest of the construction, it’s crucial to properly plan the amount needed before beginning any construction work. Running out of fill dirt midway through a project can be a costly and time-consuming setback, but is easily avoided by taking an accurate measurement of the project area itself. Measuring your construction area for fill dirt depends entirely on the shape of the area being worked on. There is some different math involved for rounded areas. Begin by measuring the diameter of the area, and then its depth, and record both values once again in inches. The correct volume is found by multiplying pi (3.142) by the radius (r) squared and then by the space’s depth. Schedule a Free Manassas, VA Fill Dirt Delivery! Dirt Connections can help you see your project through in whichever ways we are able to. Our convenient and affordable services will help to make sure your fill dirt needs are taken care of in a timely manner to keep your plans on schedule. Give us a call or contact us online today to discuss your project needs, and to set up a delivery of fill dirt to your job site.